Author Helen Cresswell, who has died aged 71, became one of Britain's most popular writers by mixing fantasy with humour. This was evident in the books for which Cresswell was best known - Lizzie Dripping, Moondial, The Piemakers, The Night Watchmen and the Bagthorpe Saga series. But these were just highlights among more than 100 children's books written by her, in addition to TV screenplays such as her hit adaptation of Edith Nesbit's Five Children and It. Appealing to pre-school readers, older children and many people in between, Cresswell sustained her writing career for over 45 years. "Helen Cresswell is one of those rare souls who can write angelically well for the child in the child," Spectator magazine writer Leon Garfield previously said. Cresswell's first novel, Sonya-by-the-Shore, was published in 1960 although she had been writing for her own pleasure since the age of six. Seven years later she wrote The Piemakers, which explains how the finest bakers in Danby Dale coped with the King's request for a pie to feed 200 people. At the time the Times Literary Supplement wrote: "There is a warmth, a richness of humour, an inner truthfulness in The Piemakers which puts this apparently slight tale in the select company of books which makes nonsense credible." It added that the book made the reader "laugh and cry and delight in a job exceedingly well done". It was the first of Cresswell's four books to be nominated for the prestigious Carnegie Medal, a literary honour shared in 1969 by The Night Watchmen, 1971's Up the Pier and 1973's The Bongleweed. The Night Watchmen tells of a boy's encounter with a pair of tramps and fellow author John Rowe Townsend said it seemed to reflect Cresswell's attitude to life. He said that, along with novels The Signposters and The Outlanders, it expressed her belief that "rigidity and stuffiness are sins against the human spirit". 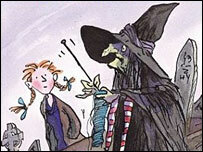 In 1972 Cresswell introduced readers to Lizzie Dripping, a 12-year-old whose family failed to believe her when she informed them that she had a witch for a friend. The story's popularity led to serialisation on BBC television a year later, starring future Blue Peter presenter Tina Heath, and four published sequels. 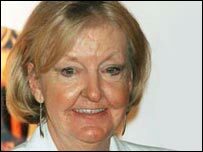 Cresswell would maintain strong links with television throughout her career. 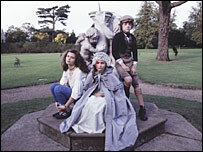 In 1977 she published the first instalment of the Bagthorpe Saga about a family of British eccentrics, which became the basis of a TV comedy series in 1981. As the saga continued over 10 books, winning two International Reading Association awards, Cresswell turned her fantasy tale Moondial into a children's TV drama series in 1988. Two years later she adapted Edith Nesbit's classic tale Five Children and It for television, introducing a new audience to a bad-tempered sand fairy called The Psammead. 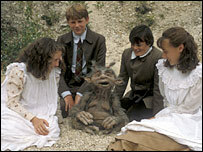 Its success led Cresswell to write her own television sequel, The Return of the Psammead, which was broadcast in 1993. The enduring popularity of her stories and characters such as Polly Flint, the basis of another TV show, led to Cresswell winning the Bafta Children's Writers' Award in 2000. Cresswell continued to make regular visits to schools, urging pupils to read as much as possible and to write their own stories. "Basic literacy is fine, but there is something beyond that," Cresswell said on a visit to a Nottingham school in 2000. "Log on to your imagination - that's the real internet - and you can access it just by opening a book."